TIFFANY Jager blamed memory blackouts after she lit three fires at Ipswich and Lowood, including one that threatened a police station. But her drug and alcohol use were big factors, an Ipswich court heard. 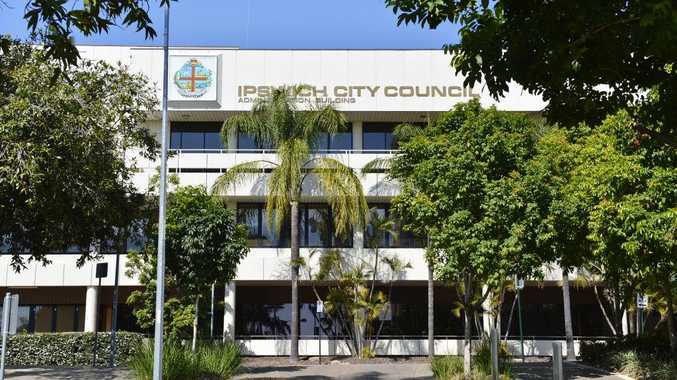 CCTV footage taken between midnight and 5am showed Jager repeatedly walking back to a deliberately-lit fire at the Ipswich Soldier's Memorial Hall and tending to it. Tiffany Maree Jager, 22, from Lowood, was convicted in Ipswich District Court after admitting to arson. 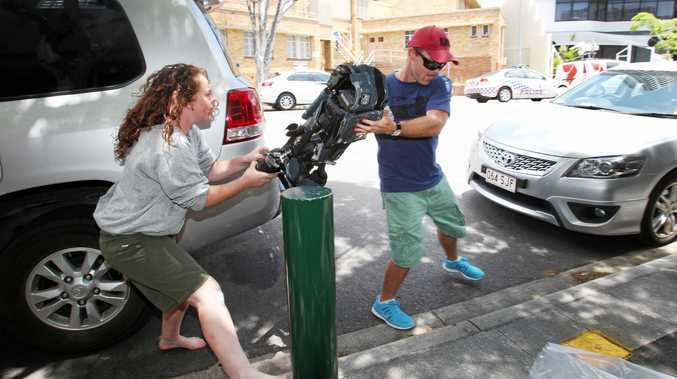 She pleaded guilty to endangering two properties by fire at Lowood on January 18 by wilfully setting fire to a wheelie bin at the police station and to a shade cloth at Lowood Bowls Club. She also pleaded guilty to wilfully setting fire to an industrial bin at the Soldier's Memorial Hall in Ipswich on June 17. Crown prosecutor Noel Needham said a wheelie bin that was set fire too had been positioned so that the Lowood police station was likely to catch fire. He outlined Jager's previous court convictions including animal cruelty in November 2014 when she punched and kicked a dog being handled by Queensland Rail staff; and two assaults on a television journalist/cameraman. Jager has also been convicted of wilfully damaging police property. Mr Needham said Jager had also been sentenced by a judge to a jail term in April 2016 for an attempted robbery offence. In relation to the arson case, Mr Needham said Jager spent 8 ½ months in pre-sentence custody. The fire at the Soldier's Memorial Hall - a heritage listed building - had resulted in at least $8000 damage. The fire spread across three levels. He said Jager was seen returning twice between 12.30am and 5am to add more 'fuel' to the fire. At the time she was on bail for the two Lowood fires. Facts in evidence show Jager was first captured by CCTV just after 3am at the Lowood police station, with a fire in the wheelie bin first seen at 3.47am. The fire caused the wheelie bin to melt. The second fire was next-door at Lowood Bowls Club, involving shade cloth, and Jager was seen to pour accellerant on the fire from a bottle with a purple label..
A psychiatric evaluation of Jager stated she suffered blackouts but Mr Needham said it was her use of illicit drugs, alcohol, and not taking prescribed medication that had the biggest effect on her behaviour. He said for the public it was highly desirable that Jager be supervised on her release from jail. Defence barrister Geoffrey Seaholme said the medical reports painted a disturbing picture of a young person with a criminal history of alcohol and drug use, and history of mental illness. He said it was bizarre behaviour and obvious Jager would get caught. "She effectively has no memories of the fires," he said. Judge Dennis Lynch QC was stern with Jager, and made it clear that she could not continue to act that way. He said that he understood Jager had been assaulted in jail. He said lighting fires to endanger public buildings would not be tolerated and Jager would not be getting out after only eight months. Judge Lynch said nobody wanted to see Jager inside, but she must avoid getting herself so intoxicated. She must stick to her medication to help her mental health problems. Judge Lynch sentenced Jager to 12 months jail for the Lowood fires, and 18 months for the memorial hall fire. Both sentences will be served concurrently. She received immediate release to supervised parole.